Katharine Mcphee posted a picture of herself wearing DAYDREAMER the other day in Seattle! 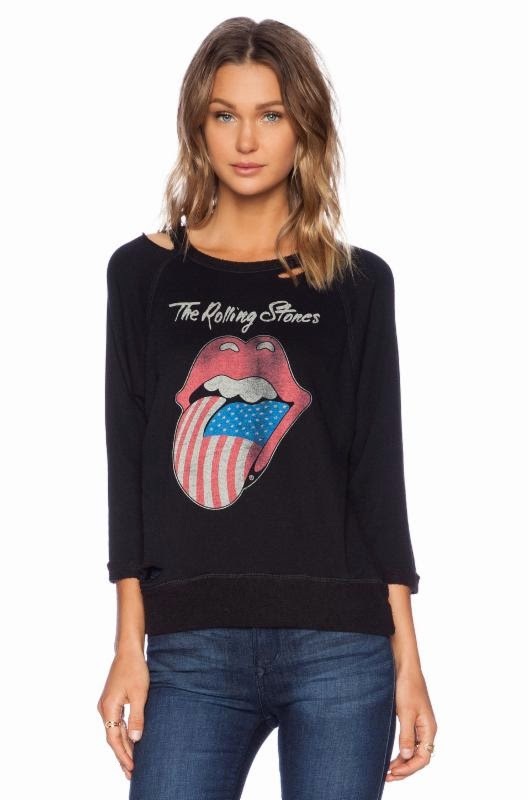 The Scorpion star rocked her Rolling Stones Flag Sweatshirt after singing the National Anthem at the NFC Championships where the Seahawks defeated the Packers ($114; www.daydreamerla.com). Below is a fashion model wearing the sweatshirt. See more of Katharine here on the Fashion Blog.